SUPPORTING OUR TEAM MEMBERS’ EFFORTS TO SUPPORT OTHERS. To encourage and reward our team members’ generosity, Hayden Homes matches the money they contribute to First Story. Together, we have contributed more than $9 million to communities throughout Oregon, Washington and Idaho. We also provide team members with two work days a year to volunteer for local community service programs. It is just another way Hayden Homes is committed to having the most generous team members on earth and inspiring each other to be at our best! Read the Why behind it all HERE! A few members of the Central Oregon Team, had a blast as they cooked a warm meal for the Ronald McDonald House in Bend, Oregon. Thanks to the volunteers, many families in need had a hot meal, fresh baked treats, and a clean room to stay in while their child received medical care. Thank you team, for taking time out of your evening to give in such a meaningful way. 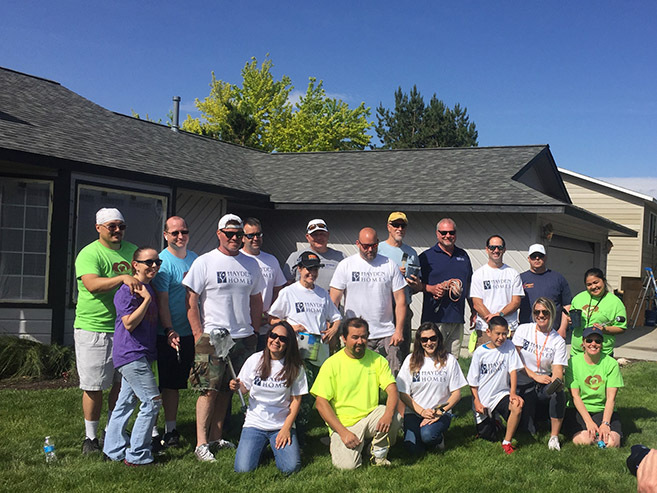 The Treasure Valley team enjoyed a sunny day while helping to Brush-Up Nampa. This is an annual organized event for volunteer teams to paint homes of Nampa senior and disabled residents in need. Paint and supplies are provided through the program by generous community sponsors, so this is a free event for both teams and homeowners. Brush-Up Nampa is more than just paint; participation restores pride in ownership, increases property values and boosts the morale of the recipients. Funding is provided by the City of Nampa and generous donations from local businesses and individuals! 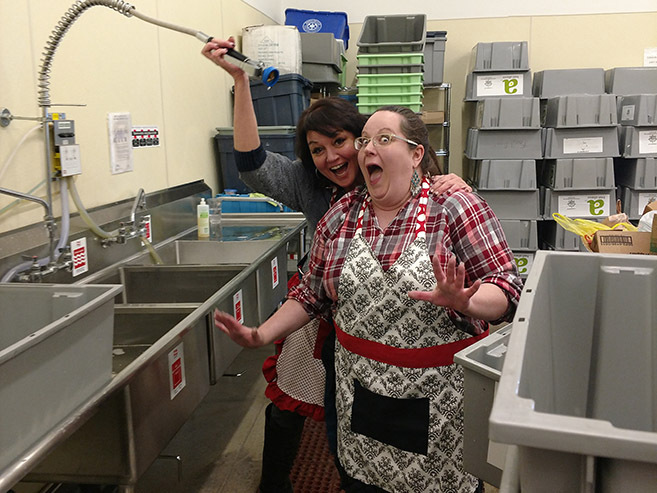 Our team likes to have fun while we help out our local non-profits! Three of our team members from our Seller Signer office got together to use some of their Volunteer Time Off to help Neighbor Impact. Neighbor Impacts motto is to work to “Empower Change.” “To change lives by helping families access skills for success, family service, financial assistance, food, housing, heat and energy assistance.” Thank you Neighbor Impact for all you do to help our community and serve those in need. Our South Washington Team had a blast at the 2018 Run for Ribbons event. This 10K, 5K run or 1 Mile walk helps to support local cancer patients. This event, is put on by the Tri-Cities Cancer Center Foundation, which is a “charitable organization which supports the needs of the Tri-Cities Cancer Center. Donations made to the Foundation stay in our community and provide resources for patient-focused support services.” We were honored to be able to participate in this year’s events and help support such a great cause. It’s a joyous annual tradition in our Spokane and North Idaho Regions, to provide Turkey’s to our trade partners for the holidays. 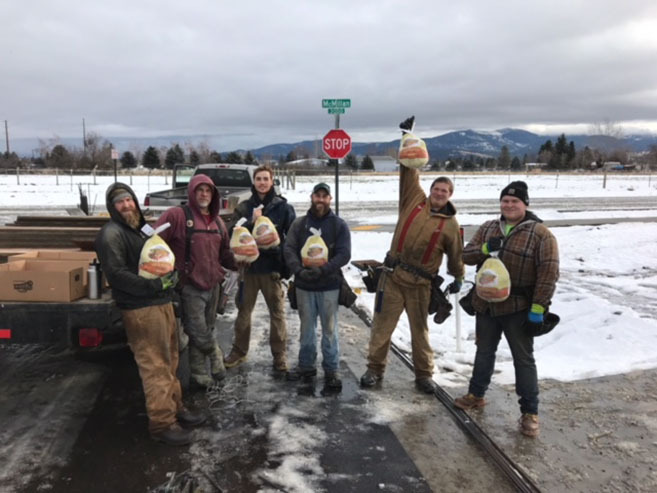 As a Thank You from Hayden Homes, for all their hard work and dedication, we were able to give out 150 turkeys, this year, to many of our trade partners. 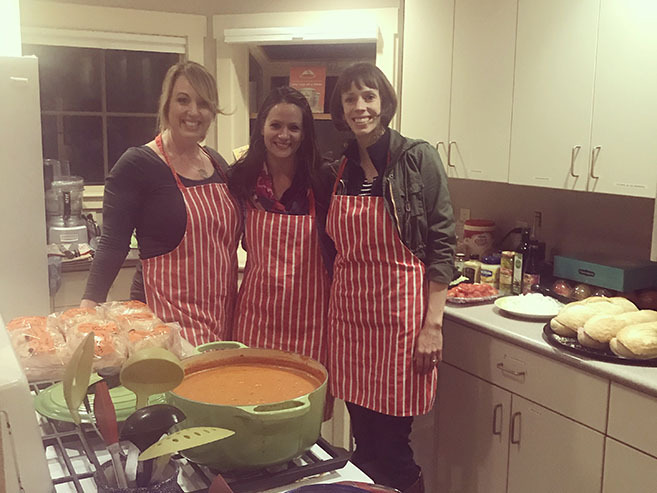 A few members of the Central Oregon Team, gathered together for an evening of fun as they cooked a warm meal of homemade tomato soup and fresh sandwiches for the Ronald McDonald House. Thanks to the volunteers, many families in need had a hot meal, fresh baked treats, and a clean room to stay in while their child received medical care. Thank you team, for taking time out of your evening to give in such a meaningful way. 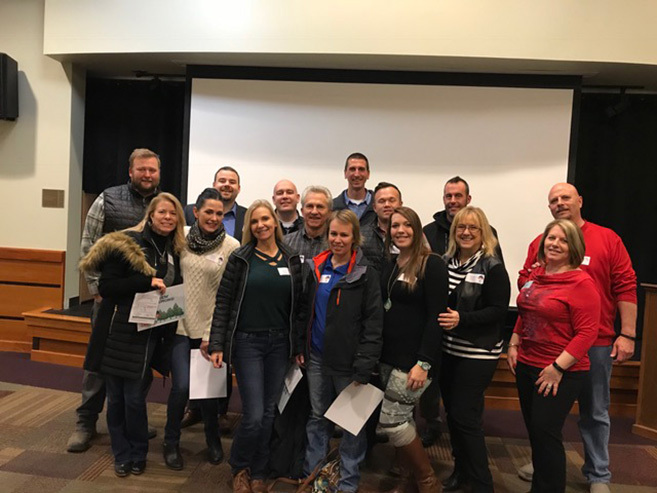 A group of our team from the Inland Northwest volunteered their time for the Coeur d’Alene Salvation Army Kroc Center Operation Clothe-a-Child event. Each volunteered was paired with a child to enjoy a pizza dinner together. Afterwards, the volunteers went on a shopping spree at JCPenny with their new friends, where they helped them spend $100 on brand new clothing of their choice – coats, pants, shirts, boots, or whatever is needed the most! 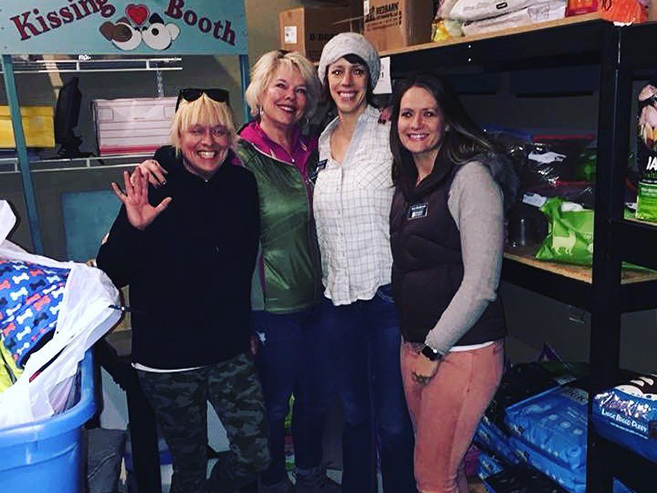 Several team members from the Central Oregon Region gathered together to assist the Bend Spay + Neuter Project with their monthly HOPE Pet Food Bank in Bend. The team had an amazing time getting to help local families in need to ensure their pets have adequate food for the month. The HOPE Pet Food Bank opens up one Saturday each month and distributes free pet food to people in need. 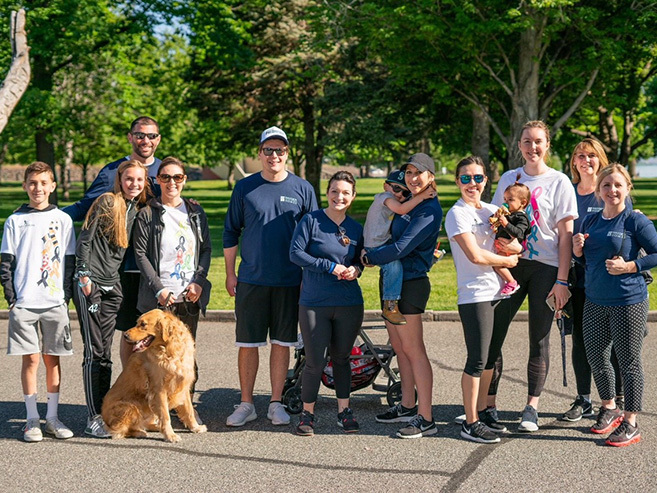 One of our Simplicity by Hayden Homes Team members, along with her mom, had the opportunity to help out Canine Companions for Independence (CCI). 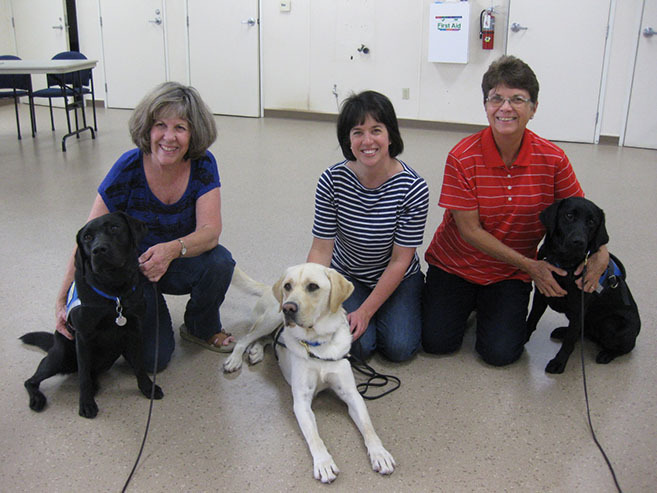 CCI is a wonderful non-profit organization, with locations all around the country that raises and trains dogs to be service animals for people with various ranges of disabilities. The dogs are either trained to be service dogs, skilled companions, facility dogs, hearing dogs, or assistance dogs for veterans. Over the course of several days, our team member was able to help out preparing dorm rooms, cleaning, prepping the dogs meals, doing clerical tasks and more. 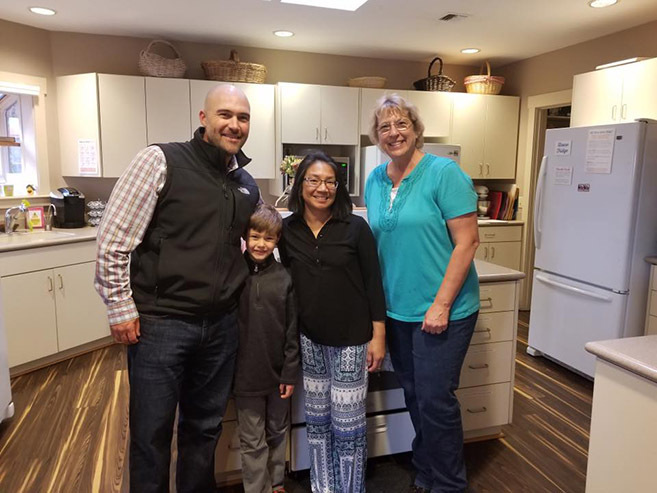 It was an amazing experience, and we were so honored to help in these small ways and grateful for the opportunity Simplicity by Hayden Homes provided. 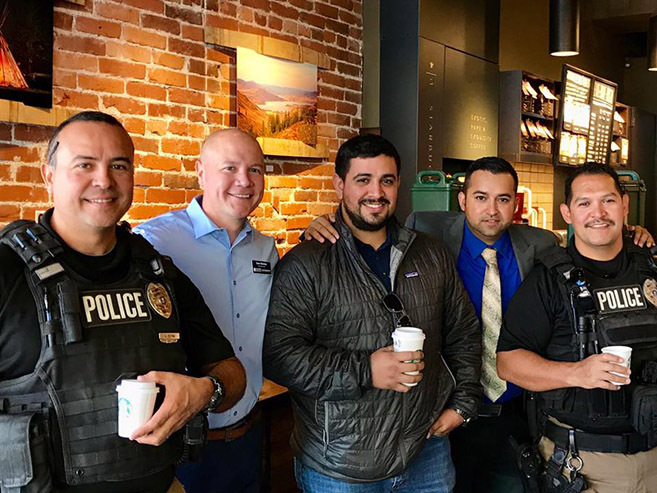 It’s the little things that go a long way… Our Hayden Homes team was very excited to celebrate “National Coffee with a Cop Day” with our local Police Officers. Thank you Walla Walla Police Department and Kennewick Police Department for an awesome morning and all you do for our communities! We enjoyed being able to bring a smile to your day in this small way. The Hayden Homes team continue to give to the Ronald McDonald House Charity of Central Oregon! Each month, throughout 2017, we have had a group come together to volunteer to cook for families in need. It’s such a fun way to get all of our team, including our President and CEO (and their families) involved in a fun way for our community. Thank you to the team who help out in September! Keep Giving. Family Access Network (FAN) is an amazing organization that works to ensure that children throughout Deschutes County and Prineville have access to basic need services. In August, we reached out to the FAN to find out how we could help them fill the need of kids going back to school. FAN mentioned they had a back to school supply drive in which they needed assistance. 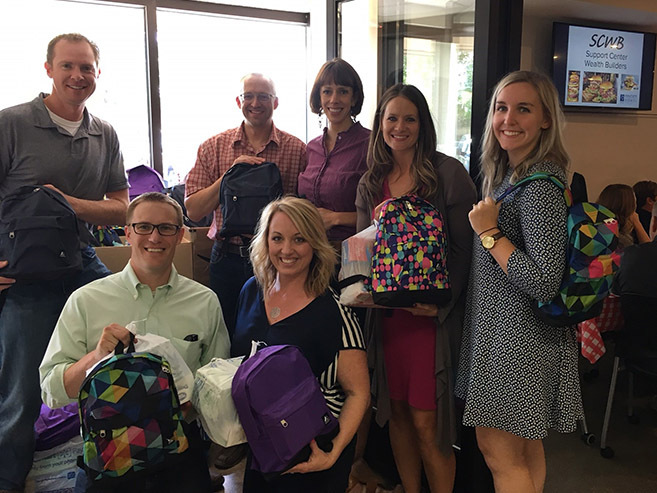 To help fulfill that need, the Hayden Homes Team in Central Oregon came together to gather and donate 50 backpacks packed full of supplies! We were honored to see so many people in our main office taking the time to give in such a big way! 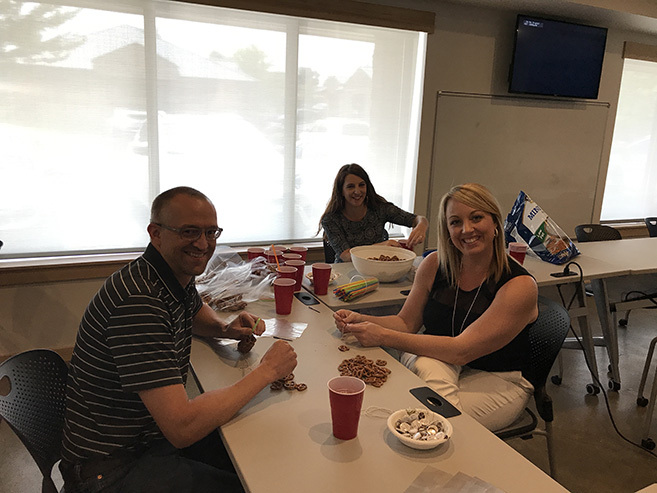 Hayden Homes had the opportunity to help Neighbor Impact, in their effort to make over 2,000 pretzel necklaces that they sell at the Bend Brewfest, to raise money for some of the programs they provide. Neighbor Impact is a local organization that is there to “change lives by helping families access skills for success, family services, financial assistance, food, housing, heat and energy assistance.” We were honored to be able to help them in such a way! Check out all of the great things Neighbor Impact is doing on their website here. It’s not just our two-legged friends that need help, but our four-legged friends as well. 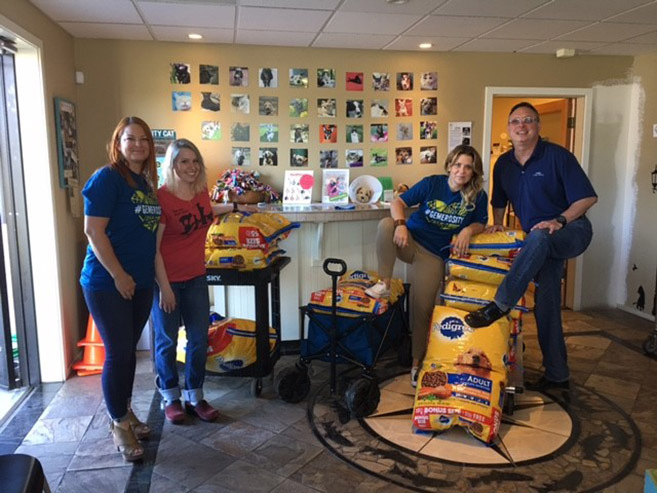 In July, the Central Oregon team was honored to be able to donate over 750 lbs of dog food that will go to the Hope Pet Food Bank. The Pet Food Bank was started by the Bend Spay and Neuter Project as a resource for those who don’t have the means to keep their pets fed. Thank you to everyone who came together to donate to this effort! To find out how you can help our local pets in need visit the Bend Spay and Neuter Project website. The giving spirit has been full this summer at Hayden Homes! 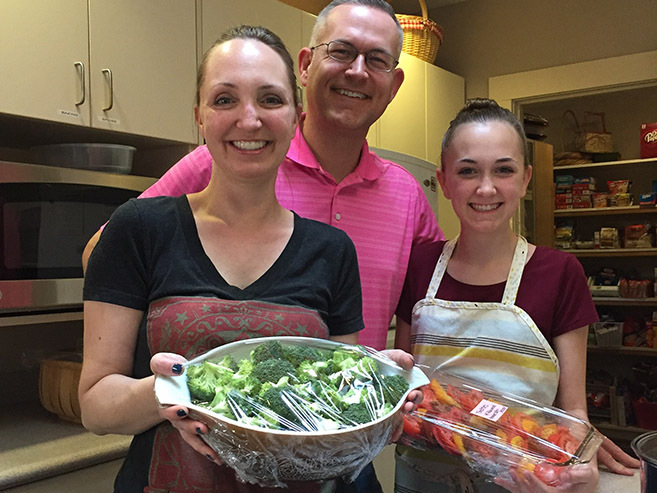 In June, Geoff Harris, the Regional Director in Central Oregon, and his family volunteered to help cook a meal for the Ronald McDonald Housing Charities of Central Oregon. It’s an honor to see both team members and their families coming together to give to the communities in which we serve! The Great Cycle Challenge started in 2017, and after just a few short years, it has become one of the largest cycling events in the US! 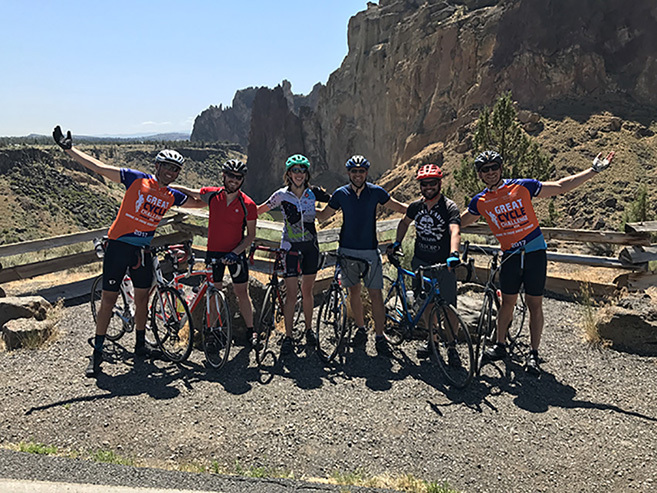 During the challenge, The Chain Breakers, a Hayden Homes Team of 11 people throughout Oregon and Washington road over 5,535 miles and raised over $10,240 dollars for the organization. The Great Cycle Challenge is an event that helps support children who are diagnosed with cancer research and development. You too can make a difference and learn about the organization here. There are many ways to give to the communities in which we live. 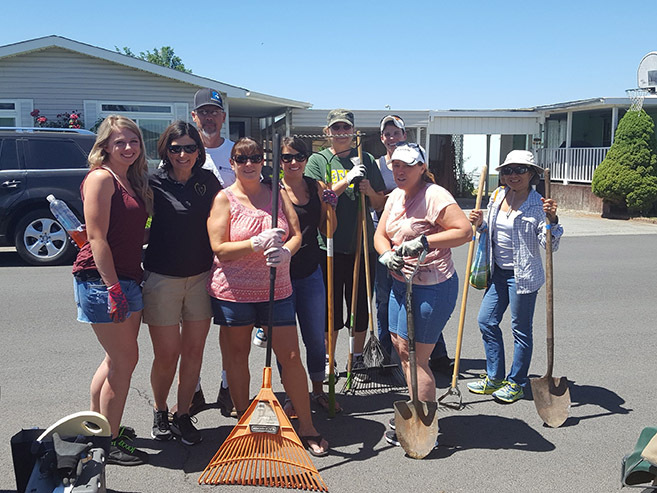 One of our very own Production Team Members recently came to us and mentioned that her parents live in the Bremmington Arms Retirement Community in Redmond, and noted that there was a need to help the community with yard work and various other projects. Therefore, we gathered a small group together and spent an afternoon helping out and cleaning up several yards! Thank you to those who served the community on that very warm day in June! The giving spirit continues at Hayden Homes! 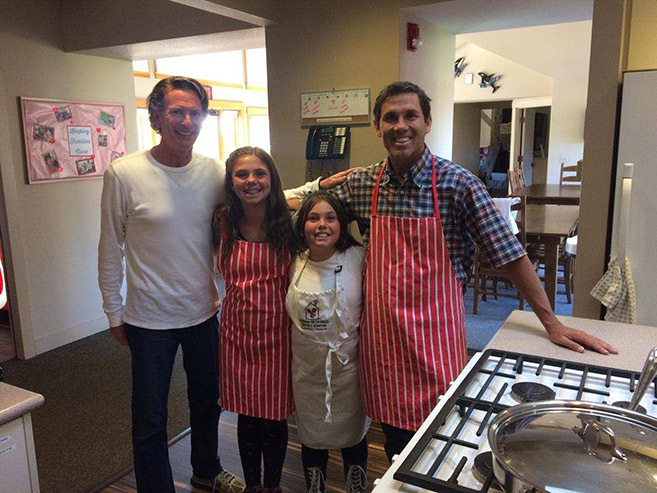 In June, Hayden Watson, his family and several friends, volunteered to help cook a meal for the Ronald McDonald Housing Charities of Central Oregon. It’s an honor to see the leadership continually showing their support and giving to the communities in which we serve! The giving spirit is abundant at Hayden Homes! 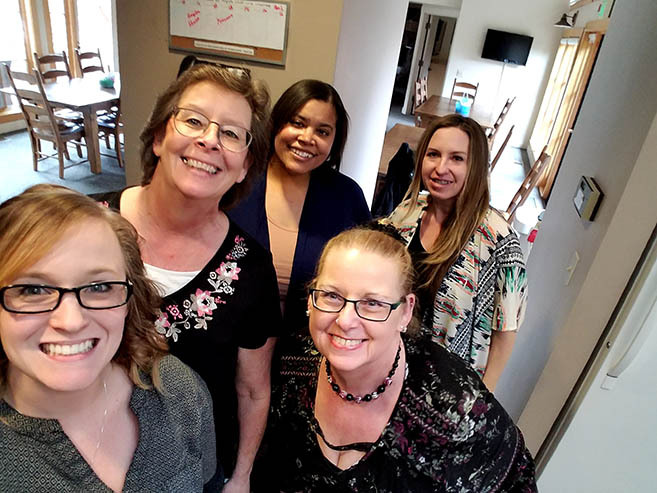 Since January, a group of Hayden Homes team members, have come together, monthly, to help the Ronald McDonald Housing Charities of Central Oregon. The team gets together to purchase and help cook a meal for the families who are in need. This has been a great opportunity for the team to not only build relationships with each other, but to help build a better community through the giving of their time! 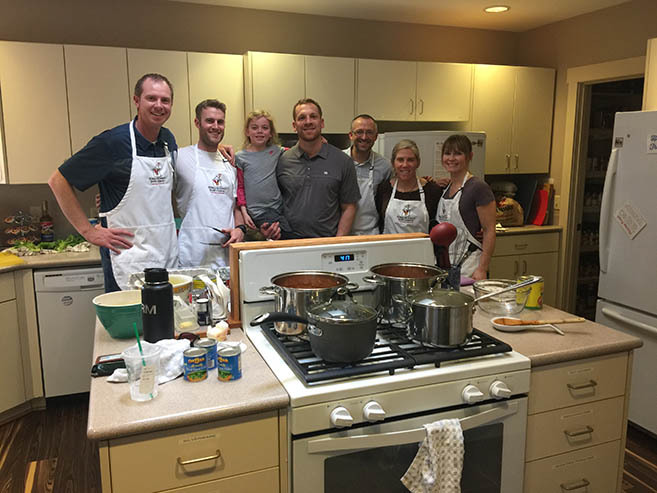 A few members of the Boise Team, gathered together for an evening of fun as they cooked a meal for the Ronald McDonald House. As stated by a member of the Ronald McDonald House, in 2016, 572 families stayed at the Idaho Ronald McDonald House. Thanks to the volunteers, like our Boise and Central Oregon Teams, those families had homemade meals, fresh baked treats and a clean room to stay in while their child received medical care. Thank you team, for taking time out of your evening to give in such a meaningful way. One of the great things about working at Hayden Homes is there are so many opportunities to volunteer and give to the communities in which we build new homes. 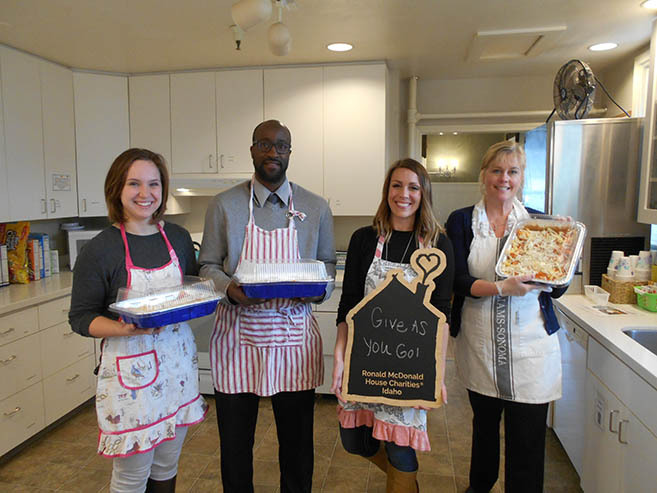 An ongoing opportunity for the Central Oregon team is to cook at the Bend Ronald McDonald House charities. 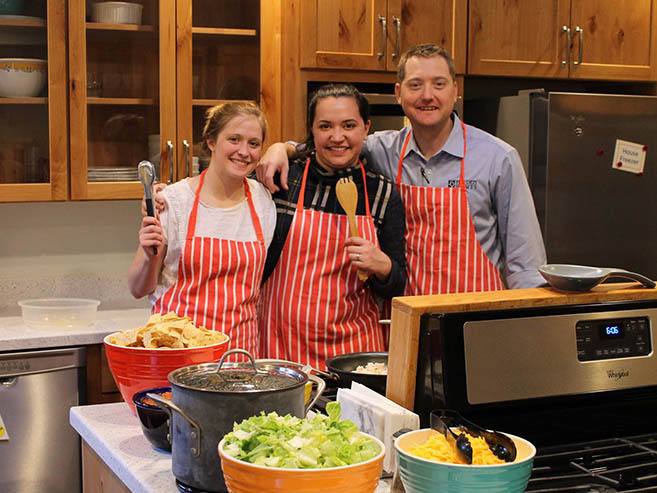 In February, a group of four Hayden Team Members, and their families, got together and made a meal for families who need support during a time when they have a seriously ill or injured child. This was the first of many, cooking nights, for our team members with the Ronald McDonald House Charities! The Give as You Go spirit of generosity is alive in our South Idaho team! 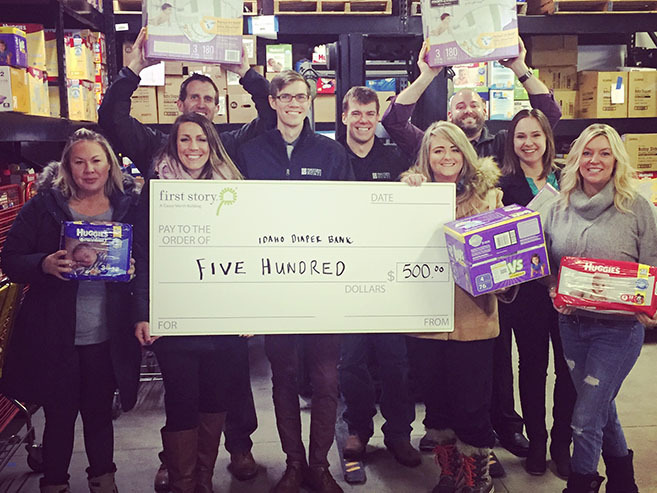 For the past month, they hosted a diaper drive and were able to gather nearly 1,000 diapers that will be delivered to struggling families throughout the Boise, Idaho region. In addition, the team got to gift $500 through the Grant Funds that are available for non-profits through First Story. In what was part team-building exercise and part philanthropy project, 270 Hayden team members worked together on Veterans Day to build 50 wheelchairs for Northwest veterans facing mobility challenges. Team members participated in a Build-a-Wheelchair® event, a team-building social responsibility program born out of a desire to help American veterans with mobility challenges. Small groups of Hayden Homes team members worked together to assemble, test and decorate the new wheelchairs before engaging in an obstacle course maneuverability challenge. After completion, the 50 wheelchairs were distributed to five Northwest regions in which Hayden Homes does business. Hayden Homes then partnered with local veterans outreach and advocacy groups in each region to identify 10 veterans in need. Hayden Homes is committed to living our values and “taking care of our team” by offering opportunities for team members to improve their health year-round. South Idaho team members had fun and got healthy by competing in a three-month health challenge. Dozens of team members walked, ran, biked and swam while raising over $500 for First Story. Sean Bearden, Hayden Homes’ Customer Service Manager combined his efforts training for the Bend Half Marathon with giving to a cause he cares about. In addition to setting a new Personal Record by 10 minutes Sean rallied his friends, family and co-workers to raise $2,422 for First Story. The Tri-Cities team regularly looks for volunteer opportunities. Team members found a fun way to combine team building with community service through a partnership with Second Harvest in Tri Cities. Second Harvest distributes over 2 million pounds of free food each month to help people in need in 26 counties in Eastern Washington and North Idaho. Team members had a great experience where they toured Second Harvest’s new facility. They packaged over 6,400 lbs of onions and potatoes, which fed over 5,340 people. Team members called it a humbling and great experience. Central Oregon team members are passionate about the opportunity to give to the communities. One example is their ongoing support for Big Brothers Big Sisters (BBBS) of Central Oregon. BBBS is an organization that matches youth, ages six through fifteen, with staff-supported, long-term, caring adult mentors throughout Deschutes, Crook & Jefferson Counties. Each year, BBBS hosts an annual Bowl for Kids’ Sake event. In 2016, the team worked together (with a little healthy competition) to raise over $4,000 for BBBS. Hayden Homes team members were inspired with the rest of the world to dump buckets of ice water over their heads to raise awareness and support for ALS. At the heart of the challenge is the true cause: raising awareness and financial support to help fight Amyotrophic Lateral Sclerosis (ALS) (or Lou Gehrig’s Disease), which is a degenerative and fatal disease. Team members poured ice water over their heads and then challenged others to respond to the challenge!